It seems like the NYX butter lip glosses have sprung up everywhere since their release and this comes as no surprise as these products are amazing. There are around 22 different shades in this collection which have been so successful – NYX have brought out a line of butter lipsticks to follow in suit – but that is a post for another time! The shades, colour, consistency, pigmentation and price are all fantastic for how good these products really are. The butter glosses are so pigmented that you can most definitely wear them on their own but I also like to layer mine over lip liner (on its own) and also over lipstick. The product itself is luxuriously thick but still buildable and does not leave your lips with that wet feeling that thinner lip-glosses tend to leave behind. I personally own six of these lip glosses in the shades; Crème Brulee, Apple Strudel, Maple Blondie, Vanilla Cream Pie, Eclair and Peaches and Cream and out of these NYX Butter gloss shades, there is not one that I don’t like. The only downside to this product is its staying power – the NYX butter lip glosses are not glosses that will last all day but will definitely get you through a few hours if you are not having a meal in this time. The consistency is also slightly sticky but then again I am quite picky when it comes to lip products and their consistency. I have had too many oops-there-has-been-a-slight-gust-of-wind-and-now-I-have-to-spend-10-minutes-getting-sticky-producct-out-of-my-hair moments! When you consider the positive aspects of the butter lip glosses – they definitely outweigh the not so perfect aspects. I personally bought mine on cherryculture.com for around $5 each! If you are thinking about purchasing a few of your own from this same website – they do ship internationally and I would recommend checking in every now and then because they can have some great sales (I bought these products at 40% off). The only thing I would keep in mind with this website is that your purchases can take some time to ship but I have not found better prices for NYX products overall. 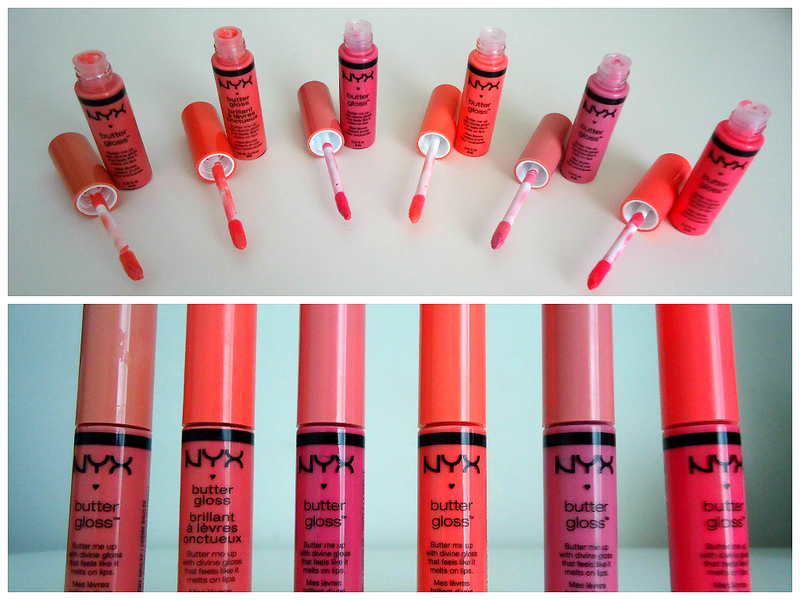 Overall, the NYX Butter Lip glosses are products that I have really enjoyed and are definitely something that I would recommend trying. For all of the reasons mentioned above; the colour, pigmentation and price are almost unbeatable. They are my hands-down most used lip gloss and a great quality gloss is quite tricky to come by in Australia – let alone any lip gloss for this price! Have you tried these lip glosses? What are your favourite shades? Are there any others that I should try out? Let me know your thoughts!